Fourth on comeback to Wholestone at Aintree over a month ago, and will be sure to come on from that effort. Strung up a number of fine efforts last year in graded contests, most notably winning the Cleeve Hurdle at Cheltenham. Will be a strong contender. Call Me Lord was the winner of the Select Hurdle at Sandown at the back end of last season, and won it in scintillating fashion. 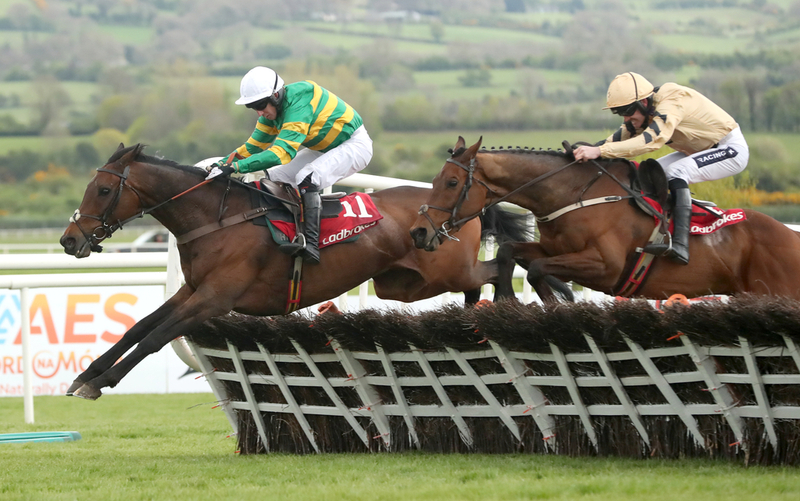 The 5yo beat both Lil Rockerfeller - who has certainly progressed as a chase, and Wholestone; who won on his season reappearance at Aintree. Time for Call Me Lord to put himself back in the frame and will sure to be prominent in the market. Only lacking the run. Heavily campaigned this season, with six runs, and just the one win at Chepstow to his name which was in a Grade 3. Arrives here with the most experience this campaign, but failed to really fire everywhere else, including latest start at Haydock. Smart novice hurdler who sadly lost his unbeaten run on his seasonal return at Wincanton. Back to form here in the Coral Hurdle last month, when shaping like a very good winner, and looks to compete a rare double. Also holds an entry in the Christmas Hurdle next week, so his options are open. Decent novice despite finishing the season down the field in the Albert Bartlett. Sprung back to life this term, with two wins from two, rewarding his trainers' faith put into him to keep him hurdling. Good displays at Aintree and at Haydock latest in a graded contest, and open to further improvement. Will make a positive bid. Last year's outstanding winner Sam Spinner looks to get back on the winning hunt on his old stomping ground. He looked to be the new staying star in the division when wrapping this up twelve months ago, but ran slightly below average when fading back to fifth at the Festival. Unseated when weakening having been hampered at Newbury, but produced enough that day to consider that he will come on from that effort. Off the track since April, when landing the bet365 Handicap Hurdle at the closing fixture at Sandown. Chasing did not go well, and since the revert back to hurdles, all seems much better. Best form has been shown around Cheltenham, but career best in a Grade 2 latest behind Unowhatimeanharry at Newbury. Few traffic problems may have halted an even better finish, but deserved his placed finished to a winner he will once again line up against. Nicky Henderson appears to be undecided with little old Top Notch, as not only is he entered here over three miles over hurdles, but also holds a card in the King George next week over fences. He was a course winner here last term in the Christy 1965 Chase, and has only raced once over hurdles since fifth to Annie Power in the 2016 Champion Hurdle, and that was last of three behind Unowhatimeanharry at Aintree over a year ago. Good to see him back wherever it will be. Returned to the scene with a fine staying display in a Long Distance Hurdle at Newbury latest, dismissing a number of today's rivals. Won this contest back in 2016, on route to placing in the Stayers Hurdle at the Festival, and has a decent chance of regaining this crown. Decent fifth on paper in the Ladbrokes Trophy most recently, but finished a total of forty lengths behind winner Sizing Tennessee. Never quite mastered the ability shared by his brother Thistlecrack, and success here would be somewhat of a surprise. Kim Bailey has much to look forward to this weekend, and could be collecting first prize honours with her 7yo gelding Younevercall. Two efforts this term, with a good second at Perth followed by a nice win at Kempton last month in a Pertemps qualifier. Should be aiming higher than that, and a strong challenge is expected here. Another chance for Harry Fry, but very much an unknown quantity arriving here. Very lightly raced 6yo mare, who has just six starts in total, all over hurdles. Third to the useful Black Op in the Mersey Novices Hurdle at Aintree, but fell when delivering challenge two-out at Newbury recently. Perhaps we will know more by 2:30pm on Saturday.